Best Lacrosse Mesh of 2019: Do NOT Buy Before Reading This! 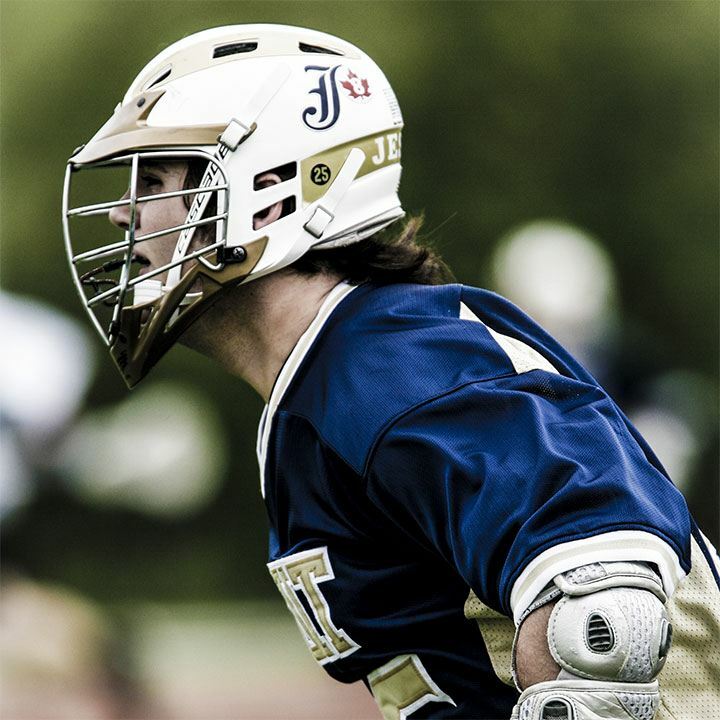 Home » Blog » How to Choose the Best Lacrosse Mesh for You? 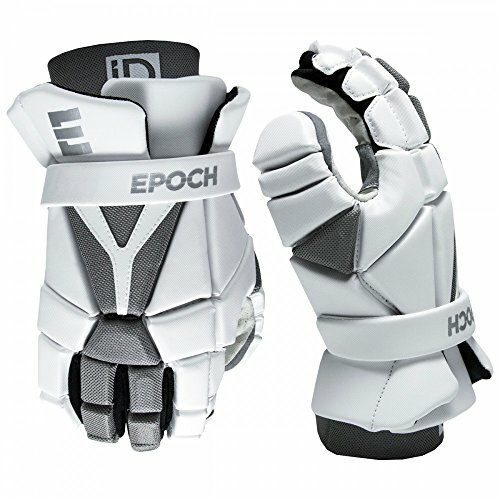 How to Choose the Best Lacrosse Mesh for You? Part of playing a sport like Lacrosse is maintaining your equipment. Over time you might need to replace either the whole headpiece or mesh for your stick. Luckily there is a variety to choose from on the market. The following article will review the best lacrosse mesh. 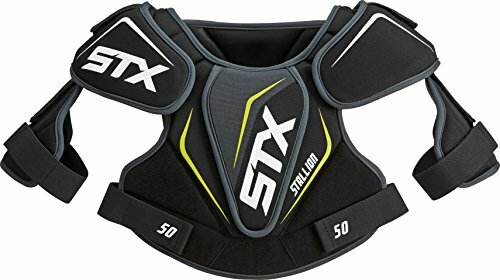 What Is the Purpose of Lacrosse Mesh? Before looking at all six in detail, here is a summary and comparison of the main features of top 3 recommend. East Coast Dyes is one of the major producers of lacrosse gear. 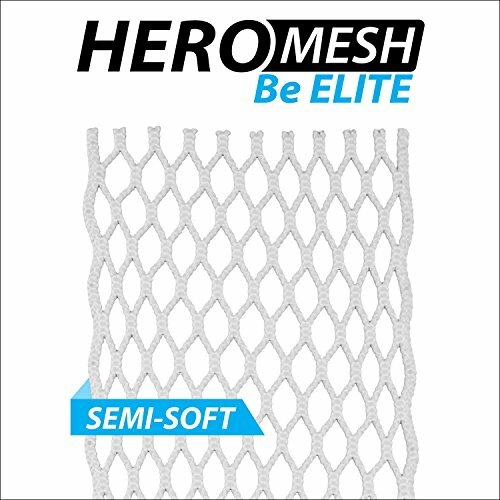 One of these products is their BeElite Hero Mesh. The net is semi-soft. Therefore, it is easier to handle and break in. It is also quite flexible but still tight enough to give you adequate control over the ball. 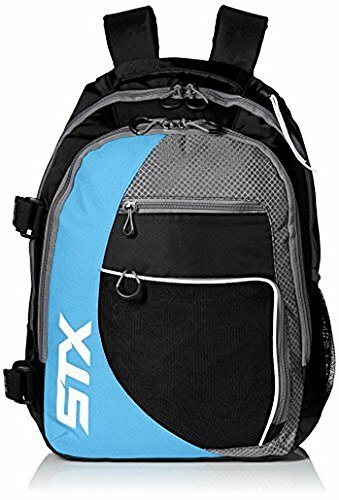 It is an excellent option for intermediate players who have outgrown their use of soft pockets on their lacrosse sticks. The mesh is weatherproof. It has been coated with so it will be unaffected by adverse and unusual weather conditions like rain and snow. So this is a brilliant option if you live in a wet area. You should note that it isn’t waxed as many modern products are. Despite this coating, the LTH fibers that are used to weave the product are incredibly lightweight. The whole thing only weighs about 0.88 ounces. The mesh is 15 mm long. You can choose from a variety of colors like white, black, and blue. It is available in some solid color options as well as a combination of colors. You will more likely than not find one that matches your team or school’s uniforms and your taste. There is more than one product by East Coast Dyes on this list. The next one is also from this brand. Their Hero 2.0 lacrosse mesh is also in this review. It is is a semi-soft product. There are several differences between this one and their other stringing items. One of the unique features of this item is the Zonetech technology that ECD used in its design. This feature means that there are different zones in the pocket. There is an outside zone on the sides of the mesh and a channel that runs along the middle. The outside consists of rigid LTH fibers. These hard strings encourage the ball to flow to the middle. Whereas the channel comprises of much softer netting which is also more elastic. These zones give you more control over the movements of the ball and more accuracy. 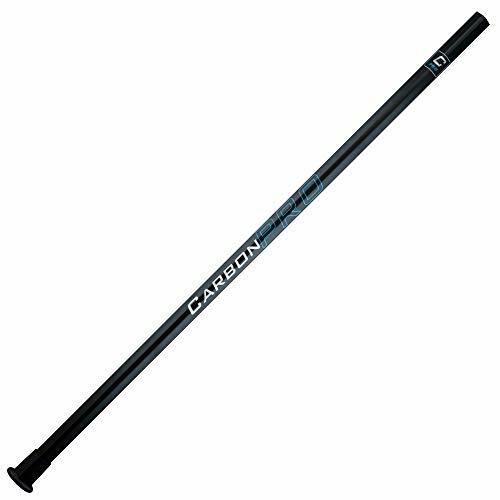 It will make your stick extremely versatile. The pocket comes in a bundle with a Perform all lanyard onto which you can clip anything like a name tag that you will want to carry with you even while you play. Its circumference is 32 inches so it should fit around most people's neck. You can choose between a bunch of color combinations. The majority of the mesh is white, and then it has some colored stripes. The colors are purple, neon yellow, neon green, and golden yellow. 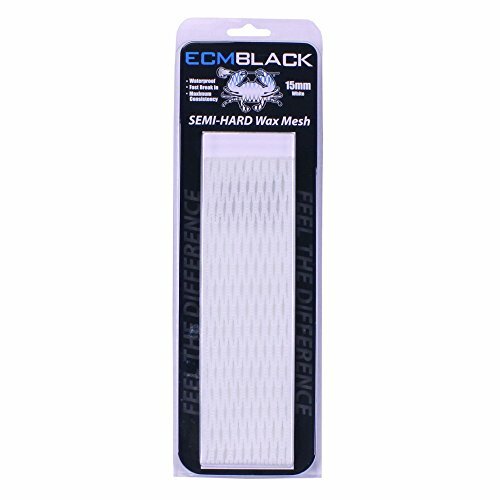 Another of the best mesh products is by East Coast Mesh. The net comes with a Jimalax Stringing kit which is a fantastic bonus. Because of this, it is a very convenient option. It includes three thirty-three inch long laces and some screws to fasten it to the loop. The strings work ideally with this product. Overall, the product provides excellent value for the price. It is rather inexpensive, and you don’t even have to buy string. Both the mesh and the laces are white, so they match nicely. But unfortunately, if you don’t like white, it is the only choice that is available. The mesh is semi-soft, so it has medium levels of flexibility and pliability. One benefit of the product is that it is coated with wax. The wax serves a few purposes, firstly it helps to protect it against the weather and prevents it from sagging in wet conditions. The coating also protects the string from damage and aids you in keeping it in tip top shape for longer. Like most of the products on the market, its size is fifteen millimeter and comes with a ten diamond pattern. Despite the coating, it still only weighs about 4.8 ounces. 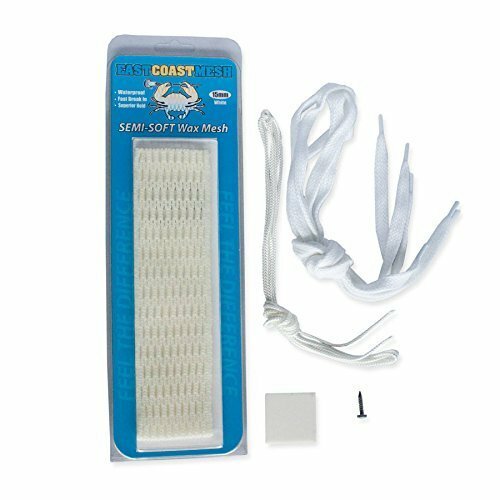 East Coast Dyes also manufactured the next item on the list. It is a semi-hard mesh which means that it is a bit softer than other options but still more rigid than semi-soft products. Therefore, it is an excellent choice for a more experienced player who is looking for an upgrade but doesn’t want a hard mesh. One downside of this is that it takes quite some time to break in. But on the other hand, it is more durable. It isn’t affected by weather and will take much longer to start sagging. The net is suitable for all positions. The texture gives you a good bounce when throwing the ball and offers a lot of control. To further increase its strength, it has a wax coating. The coat is of a high-quality and provides all the benefit of wax without feeling sticky. You can choose between one that is fifteen and one that is twenty millimeter in length. So it will work if your stick has a bigger headpiece. Both of these are constructed with a ten diamond pattern. There is also an option that is fifteen millimeters long with a six diamond pattern. So as you can see, it is available in more unusual sizes and designs. 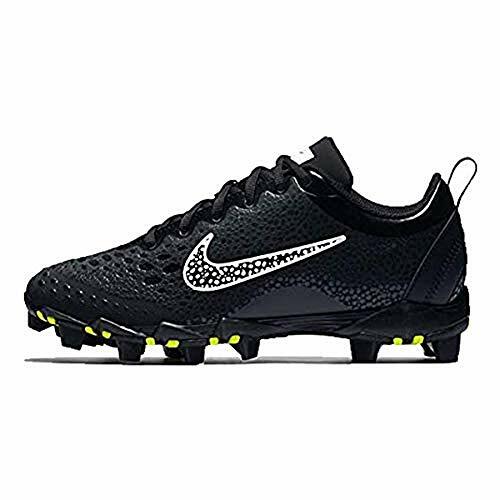 The last product on the list is Jimalax Money Mesh. The manufacturers boast that they constructed it from new material. However, they don’t specify what this is and how they made it. The fibers are sturdy and durable. They also seem to be weather resistant. But you should note that it is a soft mesh. So it is more likely to be affected by wet and rainy conditions. More experienced players usually dislike more flexible and looser netting. They are easy to use and break in, but it gives you less control over the movements of the ball. These types of mesh also wear down more quickly. Luckily, the way in which it Jimalax constructed it reinforces the pocket. The knitting has been overlapped which means that it is quite robust. The reinforcement protects it from sagging. The mesh is exceptionally light. It only weighs about 1.6 ounces and is undoubtedly the lightest one in this review. 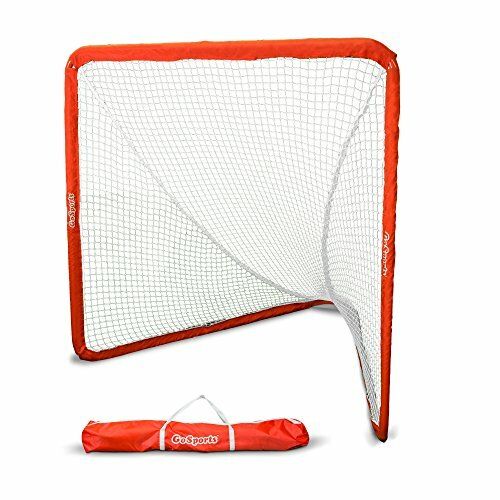 So if you're young or don’t want to add extra weight to your stick, you should consider this net. You will be pleasantly surprised by the enormous range of color options. It has more than most other products on the market. There is practically a rainbow of choices available including pink, blue, and mixed ones. The next product on the list is by Ninjalax. 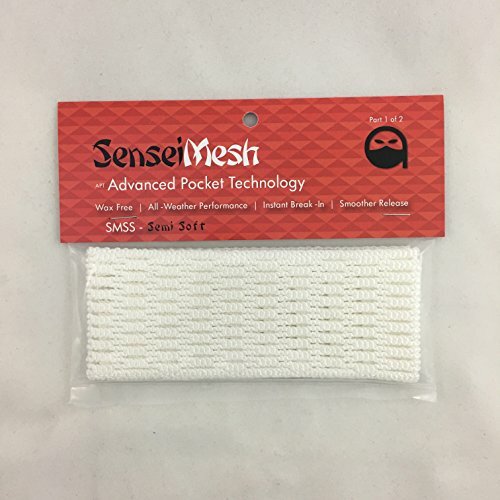 It is one of the items from their Sensei range. 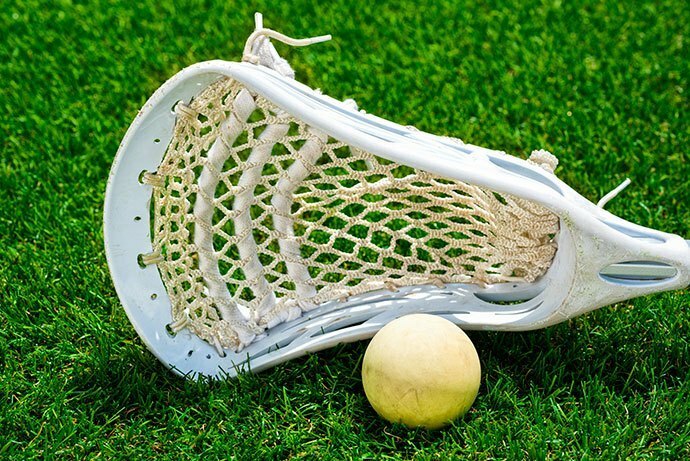 The specific lacrosse mesh is a semi-soft one. As it is a bit harder, it is a definite upgrade from soft netting. You should consider this one if you are an intermediate or a more experienced player. It doesn’t take that long to break in but you need to put in some effort. The manufacturers have not coated the strings with mesh. So keep this product in mind if you dislike the waxy feel on your pocket. Despite this, it is still waterproof. The synthetic material from which it is made helps to repel moisture. It is a sixteen-millimeter long mesh and it comes in at an average weight of 1.6 ounces. The net has a ten diamond pattern. If you look at the pictures you will notice that the fibers are braided in a unique way to make the mesh. The fibers overlap a lot which makes it far less likely to tear. The item is very inexpensive. As a matter of fact, it is the cheapest one on the list which is a great plus. But the quality is not as premium as some of the other products and will probably not last as long. 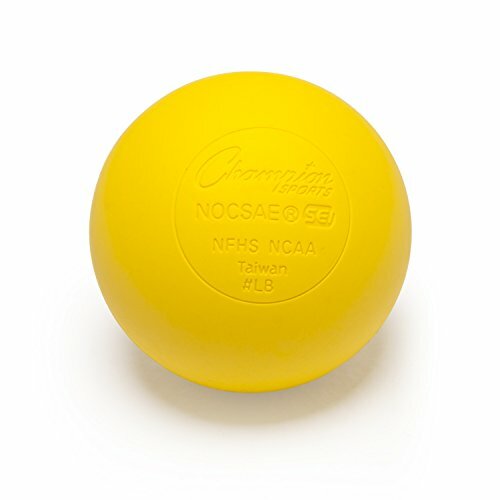 In lacrosse players aim to shoot a small rubber ball into your opponent’s goal to gain points. The team with the most points win. Players run across the field passing the ball to their teammates and trying to intercept the ball from the opposition. The three main positions are attack, defense, and goalie. 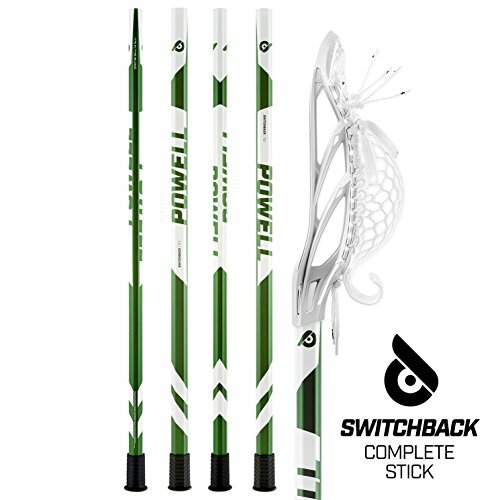 The critical piece of equipment in the sport is the lacrosse stick. It makes up of a shaft with a headpiece with mesh attached to it which you use to catch, throw, and scoop the ball. The shaft is traditionally constructed out of wood, but nowadays alternative materials are often used. For example, platinum, aluminum, and carbon are favorites. The head is made up of a loop of plastic or other synthetic material with a pocket between the two that is used to hold the ball. Net is strung between the sides of the loop. There are two primary ways in which this netting is constructed. In the past, a type of string was always used. The thread is braided through holes on the side of the head to form the pocket. The string method is still used today. It is a combination of leather and nylon thread. The second method involves attaching a premade mesh to the head. The mesh is typically easier to connect than having to braid the string through. It is much more convenient to replace and use. It also requires much less time and effort to break in than traditional stringing mesh. You should note that the construction of the pocket can affect your performance. That is why individual players often prefer one over the other. 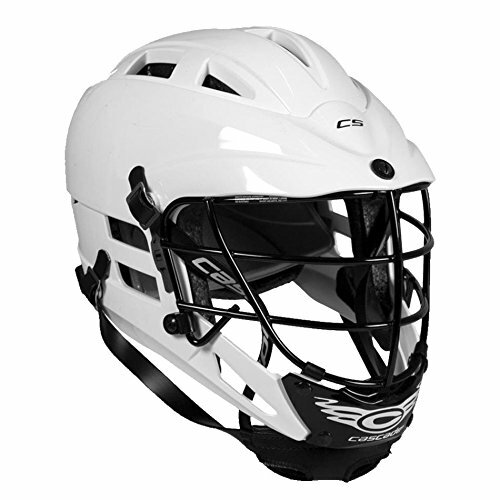 Some coaches and teams even have rules and regulations regarding your equipment and stick. Overall mesh appears to be the more popular option today. It needs to be sturdy enough to catch the ball even at high speeds. The mesh needs to be durable. It shouldn’t wear out to the extent that it will break or tear under strain. The holes need to be small enough so that the ball can’t go through. The netting should be a bit flexible and give a bit when the ball it in the pocket. However, it should not be wholly loose nor elastic. There should be enough tension in the mesh so that it can be used to throw the ball. If you are in the market for mesh, you need to keep these requirements in mind. Not all meshes are equal. Players on different levels and in different positions require other features from their sticks. Besides traditional stringing, there are three primary types of mesh available namely soft, semi-soft, and hard. These are the most malleable category of mesh. It is usually looser and is quite flexible. 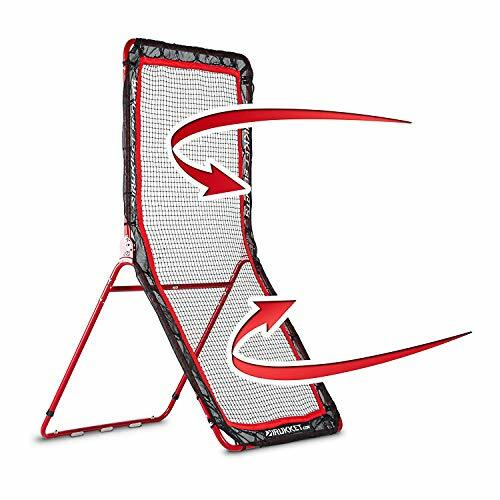 Because of this it is easily used to catch and cradle balls and is ideal for beginners and intermediate players. One downside is that it can become too loose and impossible to work when it is wet. These are the in-between products. The string that is used to make the net has a thicker coat of wax on than soft ones. It is not as negatively affected by rain, but wet conditions will make it more pliable. It takes a while to break in so is preferred by intermediate players. The hard mesh is the most widely used option. It has a thick wax coat and is tight and durable and remains unaffected by the rain. However, one con is that it takes the longest to break in. You need to replace the pocket of your headpiece if it has become so damaged that its functionality is affected. Replacing it is typically a simple matter of threading the mesh and strings through holes in the loop. Luckily, products are often sold with instructions. Check out this video to see for yourself how this is done. Before you make a purchase try to find out what type of mesh it is soft, semi-soft or hard. The more experienced you are, the harder the pocket can be that you buy. It is a good idea to test out the different kinds beforehand. Another factor to consider is the pattern of the net. The holes are usually diamond-shaped but come in different sizes and arrangements. If you have never replaced the pocket on your stick before you will want to acquire mesh that is easier to string. The more pliable type of net is generally better to work with. The mesh should be of sufficient quality. The companies that produced they should have tested the products. Both its material and construction should be carefully considered in the design process. 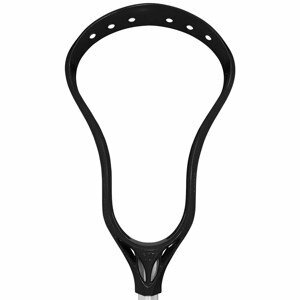 The quality of these items distinguishes them as some of the best lacrosse mesh products on sale in 2019. The manufacturers took care in designing of each of these options. 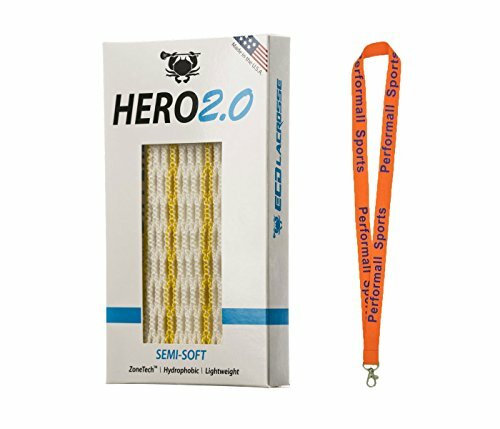 Of all the items on the list, my favorite is Hero 2.0 Mesh by East Coast Dyes. It is a semi-soft mesh that is fifteen millimeters long. The best feature of this item is that it is made with the brands unique Zonetech technology. ZoneTech (TM): Outside: The side feature Innegra, the lightest fiber in the world, which is less elastic than our LTH Fiber is the original HeroMesh. These rigid fibers funnel the ball into your channel and provide a lighter, more consistent pocket that will bag out less over time. ; Channel: The channel features our LTH Fibers, which are strategically placed to provide the soft touch and responsive feel you rely on when the game is on the line. The term refers to the fact that it has a distinct outside and a channel zone. The edges are sturdier than the middle. The effect if this is to give you more control and accuracy with your stick. The most significant con of this pocket is that it doesn’t come with a stringing kit. You will need to buy this separately. What do you think of these lacrosse mesh products? Tell us in the comments and feel free to share the article.